For many countries around the world, April marks the start of spring and new beginnings. To coincide with these seeds of change, Propy has some exciting new updates that will make the property buying and selling process more accessible for its users. Previously, to list or purchase a property on the Propy platform, a user needed to create an account. The process was not complicated. However, Propy wanted to streamline its platform further. With the new feature, buyers and sellers do not have to create accounts. Instead, they can freely browse through the platform. With this update, Propy has opened up its doors even wider to global users who are curious about the real estate market. There is also another new feature. 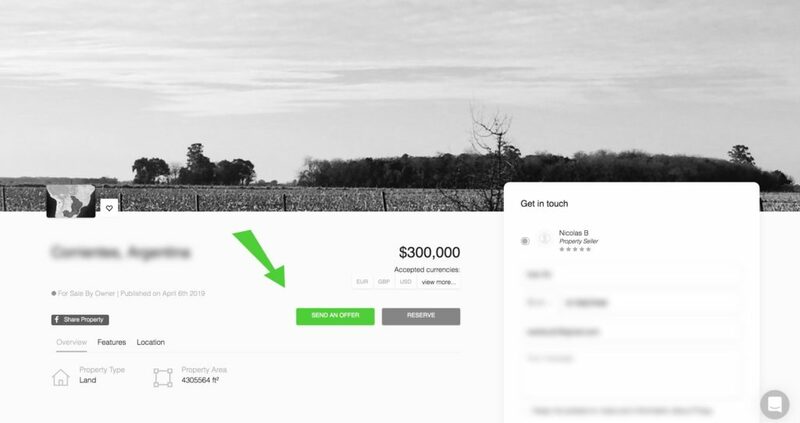 For all properties in the United States, the “SEND AN OFFER” button is officially live on the platform. To see it in action, search for properties within the United States. If you find one that you like, click on the picture. You will then see a green “SEND AN OFFER” button. Clicking this button will direct you to an automated process which will notify the seller of your proposal. More Updates to Come: Stay Tuned! We have already seen some enhancements this month. Stay tuned for more innovative features and upgrades that will improve the user experience of interacting with Propy’s platform. Visit Propy today, and save up to 25% on fees when you buy your next property. Thank you for your continued support!